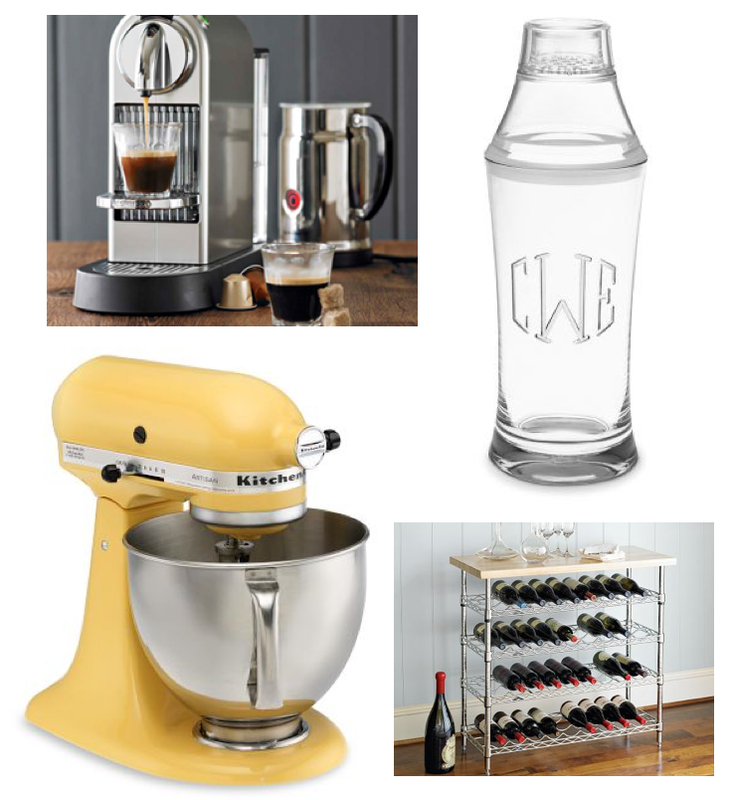 Hey all, just a little reminder that the Williams-Sonoma Giveaway ends this friday so be sure to enter. And even if you aren't engaged, I'm sure you could still think of a bejillion ways to spend $200 at Williams-Sonoma so all of you married and single gals can create a "wish-list" of must have treats for your abode as well. We don't like to leave anyone out around here. Now run along and enter and I'll leave you with some of my own wish-list must haves. What can I say, I'm a mixer and a drinker.